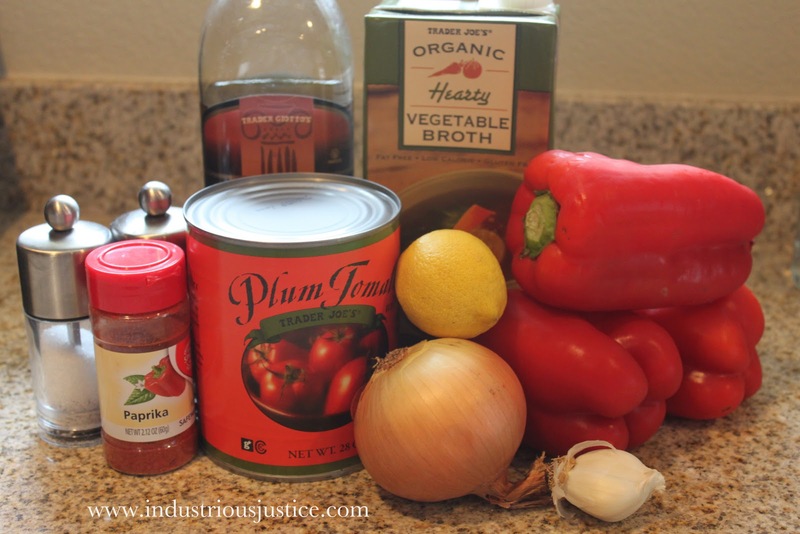 Sure, you can buy soup ready to heat up and serve in two minutes but this soup is so easy and delicious that it is well worth a little extra time in the kitchen. Also, you control the salt content, versus the grocery store offerings which are chock full of sodium. 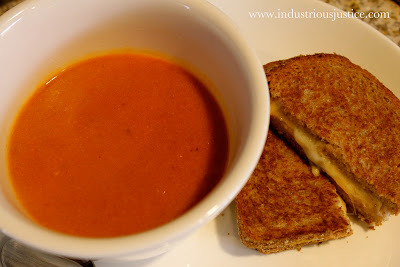 Roasted red pepper soup w/ a sharp cheddar and gruyere grilled cheese. This soup is perfect for lunch or dinner with a grilled cheese on the side. Or, if you are having guests over, leave the soup simmering on the stove with a ladle, mugs, and spoons standing by. People tend to congregate in the kitchen so you might as well let them serve up their own portions of soup to enjoy before the main course. This recipe is adapted from Sunset magazine. Preheat the broiler. Place the red pepper halves, cut side down, in a baking pan and broil until the skins are black and blistered, about 10 minutes. Let cool on pan for 10 minutes. 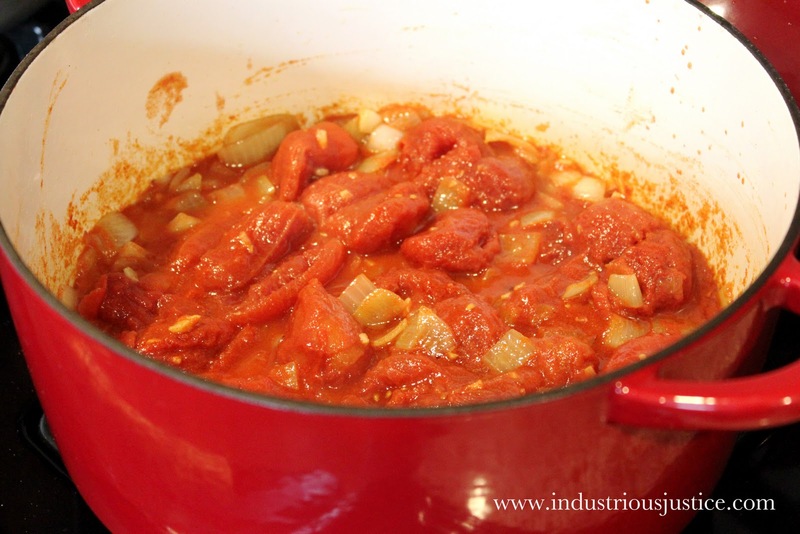 While red peppers are roasting, heat a large pot on the stove over medium heat. Add the olive oil and the onion and cook, stirring often, about 5 minutes. Add the tomatoes (undrained) and the paprika. Bring to a low simmer and cook, stirring occasionally until the red peppers are ready. Peel the roasted red peppers, add to the pot, and simmer for 5 minutes. Puree the vegetable mixture with an immersion blender* until smooth. Stir in broth and lemon juice and cook over medium heat until hot. Ladle soup into mugs or bowls and add any optional toppings. *If you don't have an immersion blender you can also puree the vegetable mixture in small batches in a food processor or blender.